Liverpool came into the day with a chance to, it not lock up, certainly tighten its grip on the Premier League title. Ninety minutes later, those championship dreams slipped away just like captain Steven Gerrard’s boot slipped on the Anfield grass at the most inopportune time. Needing to come out the game with just a single point and playing at home, where they hadn’t lost since Sept. 21 against Southampton, Liverpool were the aggressors in the first half (and in the game as they controlled the ball for 73 percent of the time) but couldn’t find a way past Chelsea goalkeeper Mark Schwarzer, who was making his first start of the season. Just before halftime, Gerrard slipped near midfield while collecting a pass and Chelsea’s Demba Ba had a clear path to the goal. 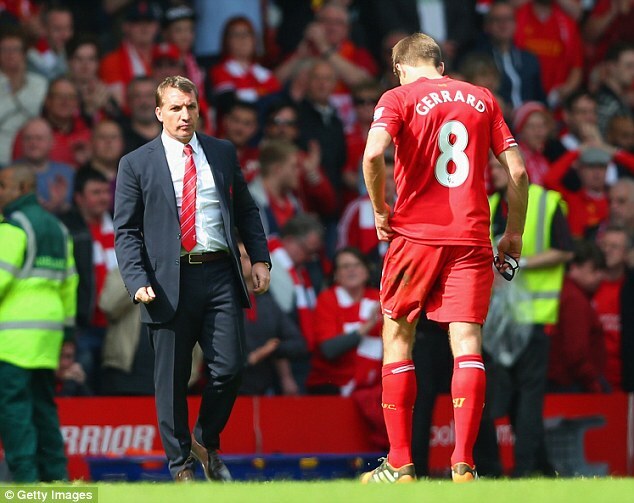 His shot beat Simon Mignolet and Liverpool found itself in a bad position, down 1-0 at halftime. In the 30 previous games where Liverpool trailed at halftime, they only came back to win twice, against seven draws and 21 defeats. Sunday would be no different. No matter how many times they tried, they couldn’t find a way past Schwarzer, who shutout the league’s top scoring team with help from a defense-first philosophy by the 10 men in front of him. “They have a different style to us but if it gets results, great. Jose Mourinho will be happy with that. Congratulations to Chelsea as they won the game, although they came for a draw,” Liverpool manager Brendan Rodgers said after the game. “It is totally opposite to how we want to play but give credit to them for winning the game. It is not difficult to coach, putting 10 players on the edge of the 18-yard box. They got booked for time-wasting in the 92nd minute but I think everyone could see from the first whistle that was their plan – to frustrate. That is exactly what happened at the end of the game as Liverpool frantically tried to get the equalizer, but Chelsea earned a clean breakaway and Willian put the finishing touches on the win. While Liverpool ends the day right where they began it – in first place – their 2-0 loss to Chelsea, coupled with Manchester City’s 2-0 win against Crystal Palace puts the Reds first league title since 1990 in serious jeopardy. Liverpool leads Chelsea by two points and Manchester City by three, but because City has a game in hand, both teams can max out at 86 points if they win out on the season. But where Liverpool held controlled its own destiny before the loss to Chelsea, the power has now shifted to Manchester City, even though they currently reside in third place. If Liverpool and City finished the season tied on points, the title will go to the team with the greater goal differential – which currently is Manchester City, which is at +58 to Liverpool’s +50. So absent a slip up in the final three games from Manchester City, Liverpool needs to win big in its final two games – away to Crystal Palace and home to Newcastle United. “The bigger picture is that we’re still two points ahead of a team (Chelsea) that has spent an absolute fortune. If we win our two games we’ll finish above them and then we’ll see what happens with Manchester City,” Rodgers said. “We achieved our objective of Champions League football and we just go on to our next game against Crystal Palace. Today’s game will probably prepare us for that because of the nature of how Crystal Palace play. The dream season isn’t over, but it is startling to slip away. All because of one slip at the wrong time by the one player you would least expect.